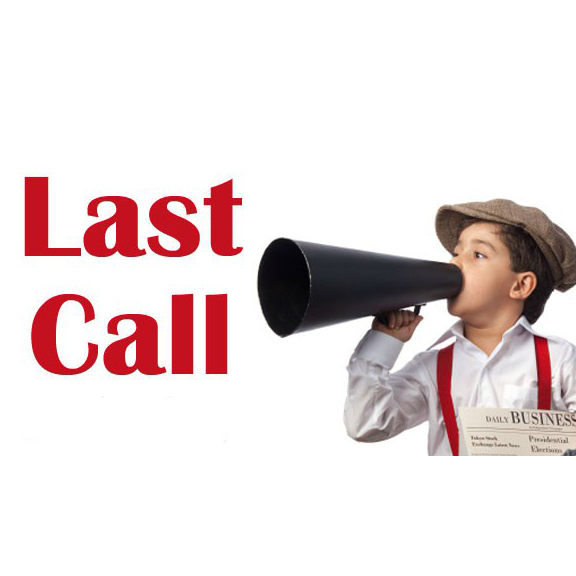 Last Call for Proclaim 19! - NRB.org NRB :: Last Call for Proclaim 19! HOME > NEWSROOM > ARTICLES > NRB TODAY ARTICLES > Last Call for Proclaim 19! You can still register onsite starting from 8 a.m. on Monday, March 25, and throughout the week of the Convention. The registration area will be located in Hall D of the Anaheim Convention Center in Anaheim. You can also register online 24-7 at nrbconvention.org. Join us as we bring together thousands of Christian communicators for four days of insights, connections, resources, and opportunities (and five nights if you come early for the pre-Convention Great Commission Summit Monday evening)! Hear from 100+ speakers including pastors and ministry leaders including Tony Evans, Priscilla Shirer, Rick Warren, Greg Laurie, Erwin McManus, and H.B. Charles Jr.; radio talk show hosts including Larry Elder, Eric Metaxas, Dennis Prager, Sebastian Gorka, and Frank Sontag; filmmakers and actors including Alex Kendrick, DeVon Franklin, Madeline Carroll, and Shari Rigby; and many more. There will also be two former state governors – Ambassador Sam Brownback and Gov. Mike Huckabee! Gain valuable insights for your work and ministry through the various specialized summits and tracks. The summits that will take place during Proclaim 19 include the Radio Summit, TV & Film Summit, Digital Media Summit, and Great Commission Summit. There will also be “101” sessions in Church Media, Radio, TV, and Film. Check out our award-winning Exposition, the world’s largest marketplace dedicated to Christian media and ministry professionals seeking to harness the power of electronic media to spread the Gospel. Showcasing their products and services will be around 200 companies, ministries, and organizations, including broadcasters, nonprofits, educational institutions, publishers, media agencies, and broadcast equipment and software companies. Also on the Expo floor in 2019 will be a virtual reality theater that will be showing 7 Miracles, the very first feature-length film in VR. Other highlights include the Industry Networking Reception; the Film Pitch-a-thon; the Super Sessions; musical performances by artists including For King and Country, Anthony Evans, For All Seasons, Parable, and Mark Rice; the presentation of NRB’s 2019 media awards; various affiliate events; and eight film screenings. We could go on and on with everything that takes place during Convention, but you really need to come see for yourself. So, if you haven’t made plans to join us, do so now. And if you are planning to join us, tell a friend and look forward to an amazing time at Proclaim 19!